(VEN) - As the host of APEC 2017 events, Vietnam presented its proposals at the first meeting of senior APEC officials (SOM 1), which took place in February in the city of Nha Trang. According to Deputy Minister of Foreign Affairs Bui Thanh Son, the Chair of APEC 2017 SOM, Vietnam’s initiatives are in line with the demand of APEC member economies and were thus welcomed by all participants. 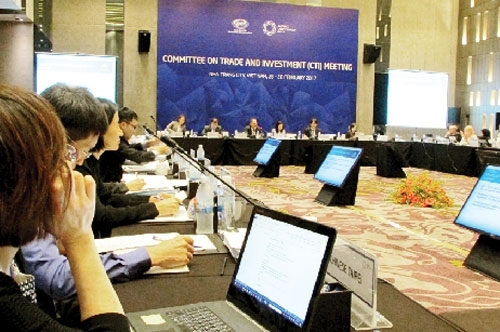 Vietnam’s initiatives are expected to contribute to APEC’s long-term development. 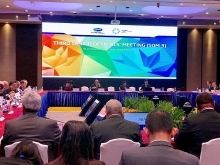 One of the recommendations is to set up a mechanism to discuss a post-2020 APEC vision. Vietnam intends to organize multi-party dialogues on APEC towards 2020 and post-2020 vision at SOM 2 that will take place in Hanoi this coming May. Vietnam reached an agreement with other APEC member economies on the components of this mechanism, which would consist of not only government officials but also scholars, business representatives, international and social organizations. Vietnam also proposed to APEC committees and working groups other initiatives to develop APEC 2017’s priorities, including human resources and future employment development in the digital era. “This initiative is in line with the demand of APEC member economies because all of them currently pay great attention to increasing employment and developing human resources to prepare for the Fourth Industrial Revolution,” Deputy Minister Bui Thanh Son said. APEC has become an attractive destination for both regional and global tourism. During its development process, however, the regional tourism sector has faced many challenges, especially climate change. Therefore, promoting sustainable tourism development has been identified as an important goal of not only APEC member countries but also the world as a whole. APEC member economies showed their willingness to support Vietnam’s efforts to concretize its initiatives before proposing them to the APEC Summit scheduled to take place in the city of Da Nang in November. social strata benefit from trade and investment liberalization.